If you prefer your accessories sleek and functional without a lot of decoration, this 4 Inch Black Plain Leather Sheath is right up your alley! The lightweight pocket knife case is sized to fit most folding knives up to 4 inches long. Pocket knives come in handy for all sorts of daily tasks. With this 4 Inch Brown Oval Leather Sheath, you will be able to wear your favorite folding knife at your belt for easy access. The classic design coordinates with many outfits. Perfect for those who prefer a clean minimalist design, this folding knife case lets the beauty of real leather take center stage. 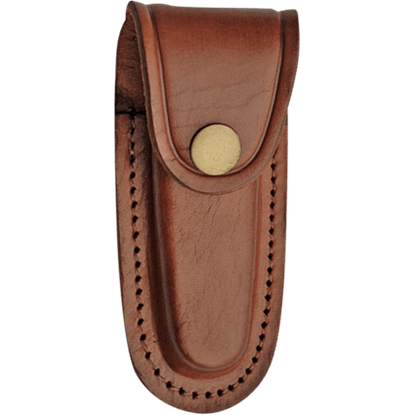 The 4 Inch Brown Plain Leather Sheath slides onto your belt to keep your favorite knife close at hand. 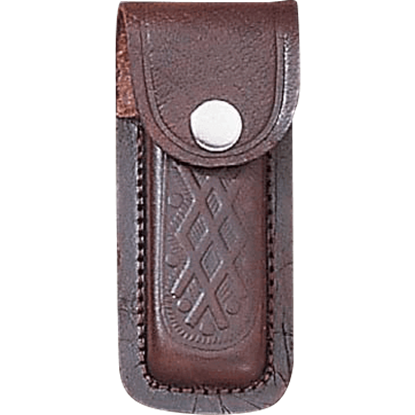 Keep your folding knife close at hand with this 4 Inch Embossed Brown Leather Sheath. Crafted from high quality leather, this knife pouch displays an embossed argyle design and holds your blade securely inside with a snap closure. 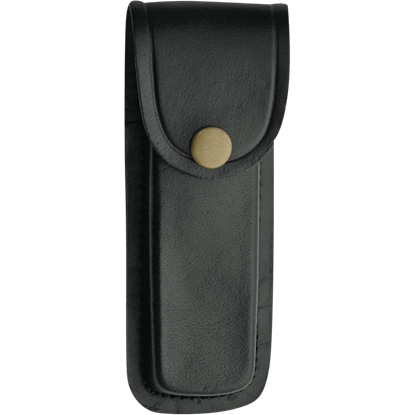 Whether you are looking for a pocket knife sleeve you can embellish or you prefer the minimalist design, this 5 Inch Black Plain Leather Sheath is an excellent choice. Keep your folding knife at hand with this sheath on your belt. Your favorite knife will always be close at hand when you keep it in this 5 Inch Brown Plain Leather Sheath. 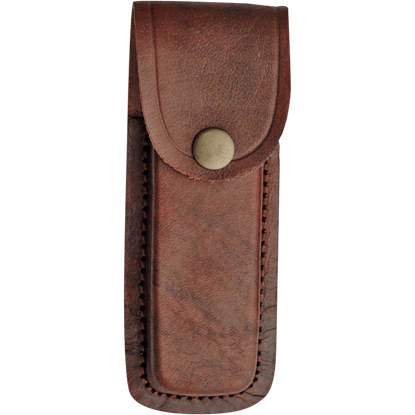 Made from high quality leather, this pocket knife case has a classic design that lets the beauty of genuine leather shine. 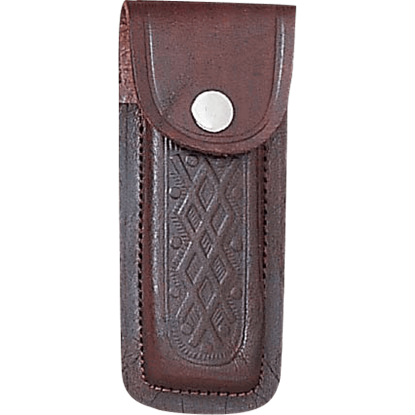 Displaying an embossed argyle design, this brown leather pocketknife case keeps your blade secure. Worn on your belt, the 5 Inch Brown Embossed Leather Sheath will hold your favorite folding knife until the next time you need it. 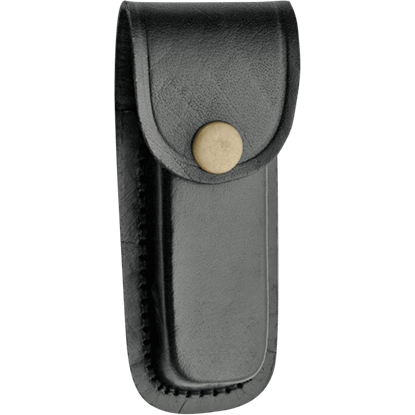 Wear your favorite folding knife at your belt for easy access with this 5 Inch Heavy Duty Black Leather Sheath. 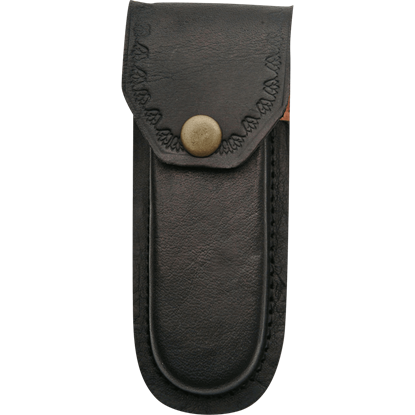 Made from high quality leather, this pocket knife holder displays a traditional design that complements any outfit. 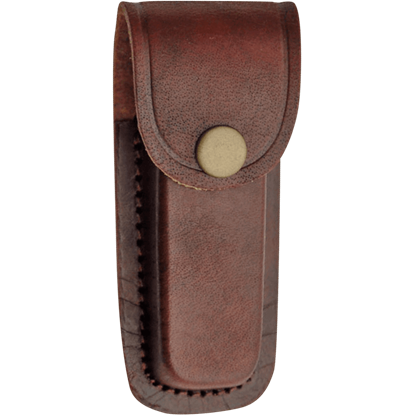 Instead of having to dig in your pockets, you will always have your favorite pocket knife nearby when you store it in this 5 Inch Heavy Duty Brown Leather Sheath. Worn on your belt, this folding knife case displays a classic design. 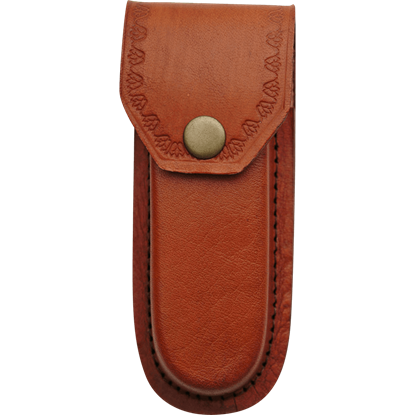 Each Muela Hunting Knife Leather Sheath is handsome as well as functional. 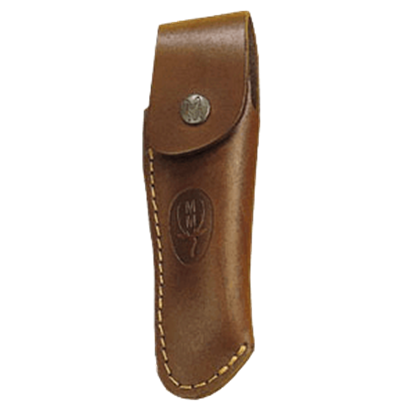 This sheath features the Muela emblem on the front. There is stitching around the edges, and a button closure. There are two Ms featured on the button. 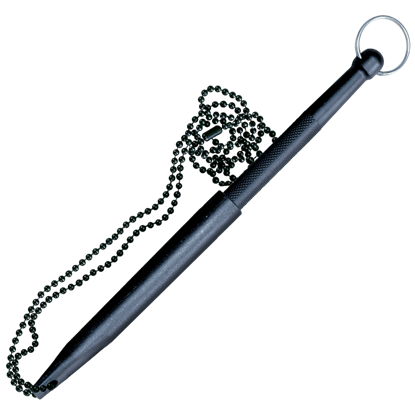 The Neck Sheath for Delta Dart is a protective covering made of sturdy Secure-Ex and outfitted with a bead chain lanyard. Easily carry your Delta Dart (07-92DD) on your neck for self-defense at the ready no matter where you are.